Home / Argon / bonding / chem / chemistry / Electronegativity / electrons / helium / krypton / neon / noble gases / radon / Science / valence / xenon / Why do Noble Gases rarely form Bonds with other Atoms? Noble Gases have a full valence shell, which is why they rarely form bonds with other atoms. This graphic summarizes this quite well. Since they have full outer valence shells, they do not need to form bonds to remain electrically neutral. While this would seem to suggest that Noble Gases do not create compounds at all, such a conclusion would be misleading and skew the truth a bit. Even though this holds true in practice for Helium and Neon, the other noble gases have been found to form compounds. Let's deal with each of the noble gases and there respective situations in this regard. That will allow us to answer the original question ("Why do Noble Gases rarely form Bonds with other Atoms?") more truthfully, because these compounds are based off of bonds forming. I will group them based on similar characters. No known compounds with Helium exist. Therefore it will never form bonds with other atoms. It has the highest first ionization energy of any element and does not have a measured electronegativity. Neon and Argon very rarely form bonds. There are theoretical cases of neon fluoride compounds and a proven HArF compound that can be created at controlled conditions. Under any practical circumstances or even STP, these gases never form compounds and therefore it is safe to assume that these Noble Gases very rarely form bonds with other atoms. They both do not have a measured electronegativity. Krypton and Xenon are known the form bonds with many highly active/electronegative elements such as oxygen and fluorine. 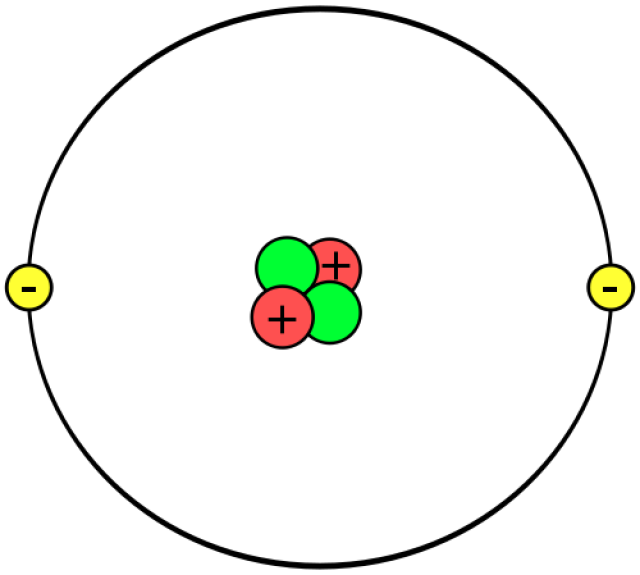 Above is an example of a compound with xenon, where fluorides can share the electrons because they share a stronger attraction towards them. Xenon's large atomic radius weakens the coulombic force of attraction between the nucleus and valence electrons which allows very small highly electronegative elements to step in and share electrons. Krypton and Xenon do have measured electronegativities, which are 3.0 and 2.6 (out of 4) respectively. Even though they are large, they still have relatively high electronegativities and therefore will only form compounds with a few certain elements. Therefore it is safe to assume that these two noble gases rarely form bonds with other atoms. Radon is a radioactive element which does not lend itself well the measuring its electronegativity with any degree of accuracy. But Radon is known to form different compounds especially with fluorine (as is shown above). In a similar fashion to Krypton and Xenon, Radon combines with very reactive elements to form compounds (and therefore bonds) for a short amount of time until the Radon decays.